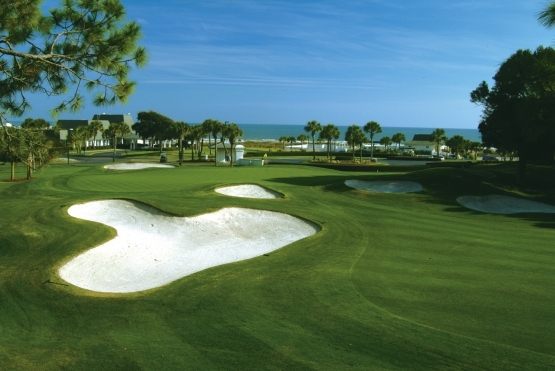 Dunes Golf & Beach Golf is a classic Robert Trent Jones seaside design.. The back nine goes along the marshes and a Lake. Many elevated greens and deep bunkers make this a great round of golf, which makes it a popular venue for major golf events. It has also been ranked among “America’s Top 100” golf course in virtually every major golf publication, The Dunes Club has hosted numerous prestigious events for both the PGA and LPGA. The Dunes’ famed 13th hole, nicknamed “Waterloo,” has been ranked as one of the “Top 100 holes in America”. Although the course maintains a private membership, tee times are only available through select golf packagers.